Always know what's going on and coach deals to success while there’s still time, instead of just "for next time". Enforce best practise in every deal and customize your sales stage gate process for the winning play. Accurately forecast the next deal or the next decade - without spending your whole day in Excel. 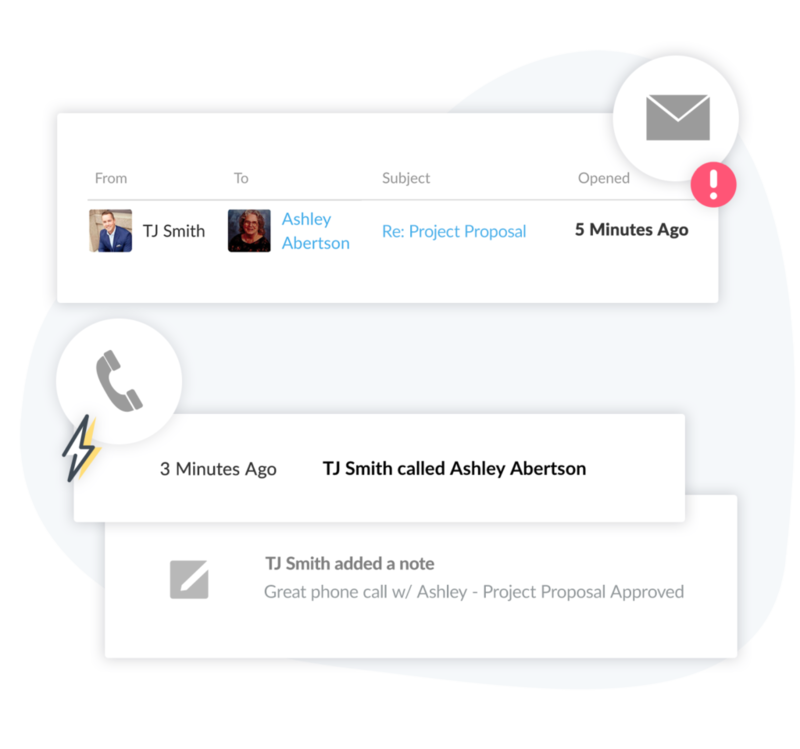 Empower your team to win with a proven system for following up with leads, including timing (alerts), cadence (next step reminders) and contact methodology (email templates). Convert more leads with personalized follow-up emails that send automatically and instantly. Lead a winning team with a structured sales process and automatic action plans. Get up-to-the minute visibility into every stage of the deal without taking reps time away from selling for updates. Email Analytics monitors open-and-clicks in real-time so your team can reach out when leads are thinking of them. Intuitively generated to-do lists, reminders, and push notifications are better than having a sales assistant.